In Classic Hacker Herren Style, Doid and his wife welcomed ROY 2032 into this world during the Wiesn. Billable and his wife Sandy are proud grandparents (their 5th). Doid and Billable both paid for 2014. Doid backed out about 6 months ago when he did the math... Billable was hoping the baby was going to be on time (a week prior to Ofest) so he didn't cancel until the day he was supposed to fly to Munich. 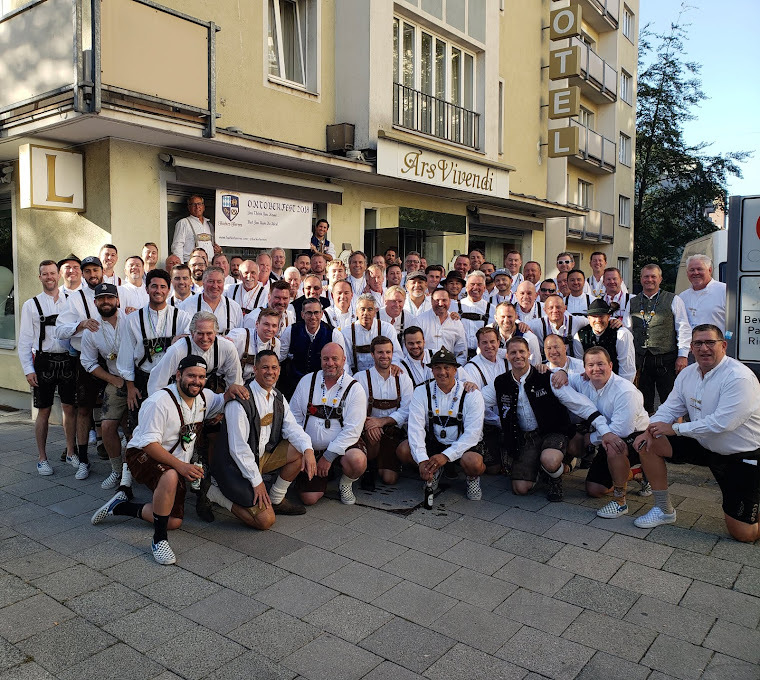 Nonetheless, Billable and Doid celebrated Ofest in the hospital with a couple masses and their lederhosen. We can congratulate both of them in person during Ofest 2015. Doid told me to keep his money from 2014 and apply it to 2015. Prost to the new member of the Hacker Herren, Luke Knott.